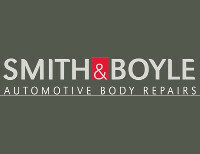 For repairs with care contact Smith & Boyle Automotive Body Repairs. Specialising in minor or full body repairs and maintenance, we offer High quality workmanship and excellent customer service. Specialist repairs for all European, American and Japanese vehicles. We have been established since 1954 as your local panel beaters. We provide high quality workmanship and excellent customer service for minor or full body repairs and maintenance including. We have fourteen courtesy vehicles to support our business so you can still have transport.